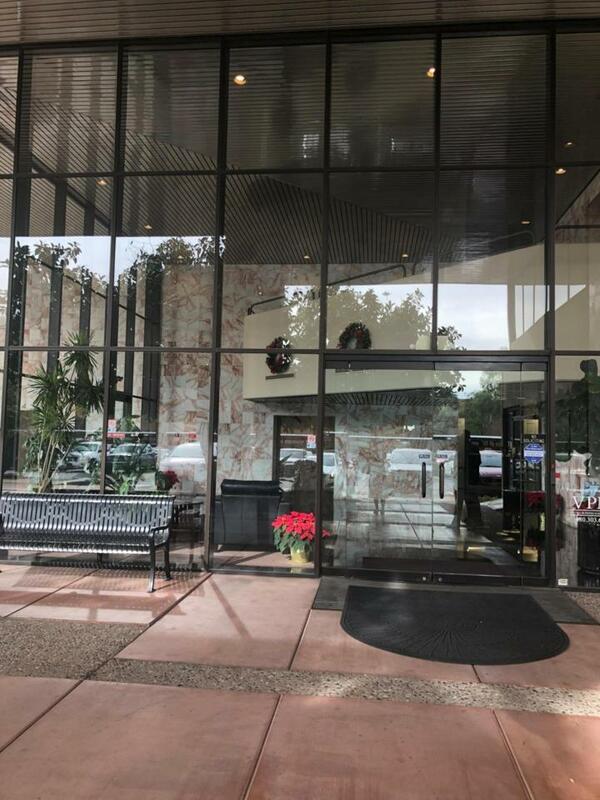 Great office space space in a premiere office building near Camelback business district and downtown Phoenix. 1541 sqft with 3 private offices, a reception area, a large ballroom office can seat 4 desks, and a large conference room or office for 2. Some office furniture and equipment available but can be removed if not needed. Internet and phone connections pre-wired to each office and desk positions. Great remolded building and has great amenities in great public area, including public balcony and seating areas. This office has its own private balcony. All utilities included, electricity, water, waste (including shredding service at no extra charge), 2 cover parking spaces. You pay nothing more, just move in with your business, long term lease available. Cross Street E Indian School Rd 26th St. Listing courtesy of Lotus Real Estate.